For years now, the team at San Francisco–based space startup Planet Labs has been planning to send a flock of 28 shoebox-sized satellites into space. They finally took flight last month, when the Antares rocket delivered them to the International Space Station. The final leg of the satellites’ journey to space began early this morning, when the crew aboard the ISS released the first two into orbit. Two to four will be released each day. The first two satellites of Flock 1 just successfully deployed from the ISS :) 2 down, 26 to go! 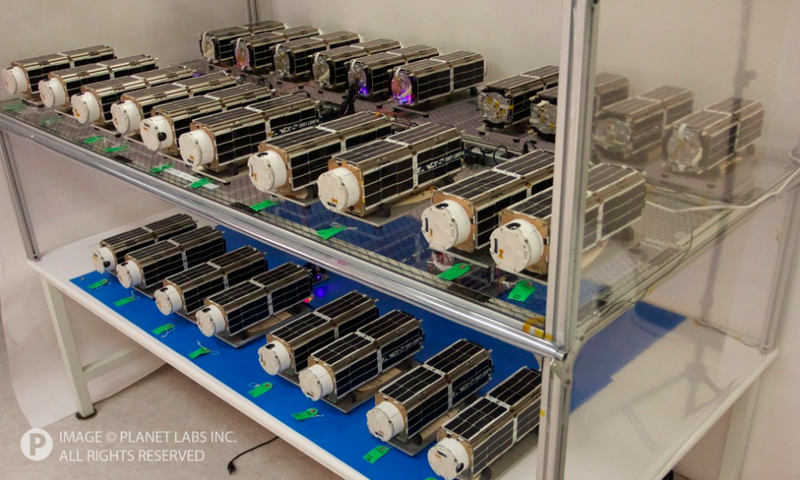 The Planet Labs Flock 1 Dove satellites before launch. Photo courtesy of Planet Labs. All in all, 28 satellites, known as “Flock 1,” will be released. “They’re going to throw the satellites out the window — or in this case, two windows,” CEO Will Marshall said, referring to the airlock through which the satellites depart. Marshall said waiting between each release allows Planet Labs to connect with each of the satellites individually and cut down on the confusion. But it also serves to space out the satellites, which do not have a propulsion system, like “a string of pearls on a necklace.” That lets Planet Labs access to images of a greater percentage of the Earth at any given time. 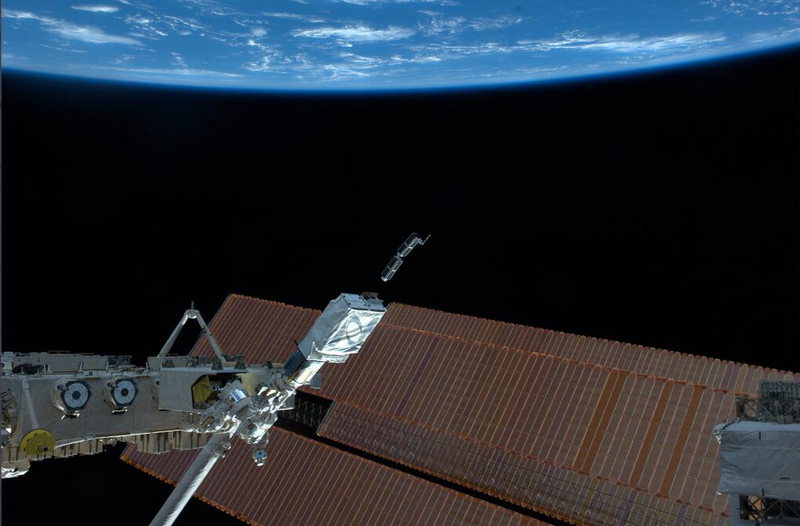 The first satellites to be released have already beamed images back to Earth, but it will be a few months before Planet Labs is ready to sell the images commercially. The first photo sent back by the Doves. Photo courtesy of Planet Labs. “We have a number of customers already engaged and ready to receive data as soon as it’s ready for consumption,” Marshall said. Planet Labs was founded in 2010 by Boshuizen, Marshall and Robbie Shingler, three NASA alumni interested in altering the space industry. Their “Dove” satellites are meant to be low-cost and rapidly deployable, and capable of taking pictures of Earth that are sharp down to the three to five meters. The company will detail plans for Flock 2 soon. 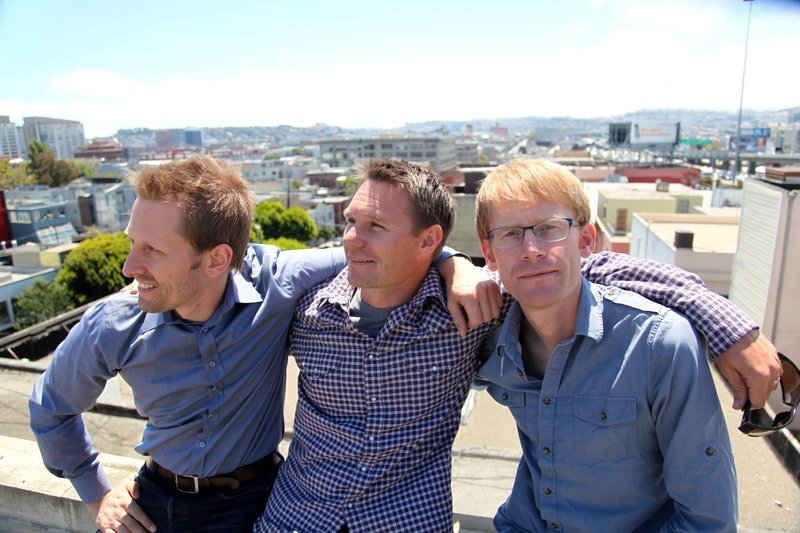 Planet Labs founders Chris Boshuizen, Robbie Schingler and Will Marshall on the roof of their SoMA office. Photo by Signe Brewster. In the meantime, the company is preparing as much as it can to begin communicating with Flock 1. The team is readying its ground control station and testing image transfer and other features with the two test satellites Planet Labs sent into orbit last year. Beyond that, all they can do is wait for the ISS crew to complete the releases. Revolutionary. No space junk because they will burn up on dropping out of orbit (?) What will that mean for Gaia? Hopefully (wish) the pictures will help control destructive humankind! Can I see my place? Goforitmen. Pretty cool…does anyone know how much money the launch vehicle company charged these guys from Planet Labs to fly up all 28 cubesats?